On Wednesday Governor Larry Hogan directed Maryland Attorney General Brian Frosh to file suit against the U.S. Environmental Protection Agency (EPA). The lawsuit claims the EPA failed to act on a petition requiring power plants in five upwind states to reduce pollution that significantly affects the quality of the air that Marylanders breathe. The petition, filed in November 2016 by the Maryland Department of the Environment (MDE) under Section 126 of the federal Clean Air Act, requests the EPA to require certain power plant units in the upwind states to use the air pollution controls that are already installed at the facilities to reduce emissions. According to MDE, about 70 percent of Maryland’s ozone problem originates from emissions in upwind states. And air quality impacts the health of Marylanders as well as the economy. “Maryland has made significant progress in improving our air quality in recent years, and that progress is in jeopardy due to a lack of action by the EPA that dates back to the previous administration,” said Governor Hogan. “We strongly urge the EPA to approve the petition and enforce the air pollution controls, already in place in Maryland, at upwind out-of-state facilities that threaten the health of Maryland citizens and our economy." MDE says it has been working with partner states for years to ensure power plants upwind meet the same stringent standards they do in Maryland. "We now need the EPA to step in to ensure the good neighbor provisions of the federal Clean Air Act are fully realized,” said Maryland Secretary of the Environment Ben Grumbles. “We’re not asking for anything that we’re not already doing in Maryland." In January, the EPA issued itself a six-month extension to the original 60-day deadline to respond to the November 2016 petition, requiring EPA action by July 15. That deadline expired with no EPA action on the petition. Maryland then notified the EPA of intention to file suit unless the federal regulatory agency took the required actions before the end of the applicable notice period. Maryland is to file suit in U.S. District Court for the District of Maryland under section 304 of the Clean Air Act. 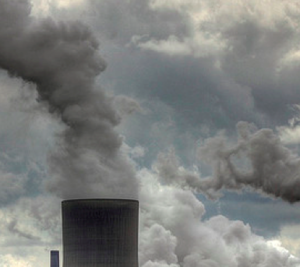 Research shows 36 out-of-state power plant units in Indiana, Kentucky, Ohio, Pennsylvania, and West Virginia emit pollution that contributes at times to poor air quality in Maryland, the petition states. The comprehensive petition includes data showing the power plants have stopped running their pollution controls effectively. A requirement to run those controls throughout the summer “ozone season” is identical to what Maryland’s largest coal-fired power plants must do under regulations implemented in 2015 by the Hogan administration. EPA approval of the petition would also help in the multi-state restoration of the Chesapeake Bay. MDE points out that up to a third of the nitrogen pollution in the Bay comes from air pollution. “We applaud and support Maryland in this effort to force EPA to act against out-of-state power plants whose emissions worsen Marylanders’ health problems, and have a negative impact on Maryland waters. “For years, Maryland has taken steps to reduce air pollution from power plants and vehicles operating within the state. But about 70 percent of the Baltimore area ozone problem comes from upwind sources of air pollution. EPA has the authority, and the responsibility, to address these upwind sources, but has failed to even respond to Maryland’s ‘good neighbor’ petition, which requests relief from the upwind air pollution. “Nineteen upwind power plants in Pennsylvania, Ohio, West Virginia, Kentucky and Indiana already have pollution controls installed, but they simply decide not to use them some days. Living downwind of those plants, Marylanders suffer. In 2014, these plants earned an extra $24 million in profits by not turning on the technology.